Full Sail Partners, a Concur and Deltek Platinum Partner, is pleased to announce that Amy Balassone has been promoted to Relationship Manager. As Relationship Manager, she will focus on cultivating new clients through referrals, building relationships with existing clients, promoting brand awareness of the Blackbox Connector and demonstrating measurable business results for clients. In her new role, Amy is responsible for managing more than 100 relationships with Concur representatives and coordinating efforts with prospective clients. Formerly serving as a Direct Marketing Associate, Amy has been part of the marketing and business development team at Full Sail Partners for almost 3 years. During this time, she has gained an in-depth knowledge of the products Full Sail Partners offers and helped to solve common problems our clients face. Prior to joining Full Sail Partners, Amy worked as a program liaison to healthcare providers working directly with clients to ensure cost effective outcomes. “I have such a customer-focused mentality. 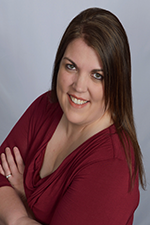 I am very excited that in my new position I get the chance to continue building relationships with clients while offering a larger variety of products and services to meet their needs,” noted Amy Balassone. With the continued growth of Full Sail Partners’ Blackbox Connector offerings to include the business intelligence tool Entrinsik Informer 5, in addition to Concur, the firm needed a key person to help clients with these specific solutions. Firms interested in connecting Deltek Vision or Deltek for Professional Services to Concur Expense and Invoice or to Informer 5 now have a point of contact in Amy. “Amy has demonstrated a willingness to continuously grow and learn. We are so excited to promote Amy to Relationship Manager working with our Blackbox Connector team and helping clients gain insight into our ever-growing portfolio of solutions. With Amy’s excellent customer service, clients will now have a great resource in Amy,” stated Sarah Gonnella, VP of Marketing and Sales.